Wayne State University Press, 9780814340172, 230pp. Throughout these years, mother and daughter struggle with male characters: the hot-headed teenager next door, a therapist with a faulty heart, a homeless man who occupies the daughter's porch, a divorced professor trying his wings, a flatterer who becomes abusive, a brilliant and neurotic doctor, a schizophrenic photographer, an engineer in love with comedy. Yet the women also clash with each other as Annie tries to protect her child and find a lasting relationship with a man, and Marly learns how to navigate and survive the romantic and sexual arena and find her place in the larger world. Annie's deceased firstborn baby daughter is a darker thread woven through these stories, a subtle influence who is never seen but not forgotten. And in the background as well as the foreground is Annie's beloved Lake Michigan, into whose deep waters she swims to remind herself that the world is beautiful and large and on whose frozen ice she kneels, as these pages end, in a moment that is both surprising and sublime. 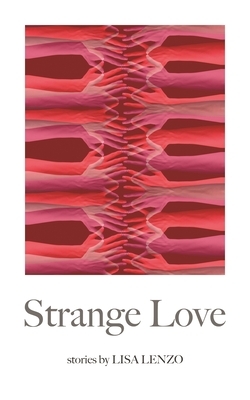 By turns comical and poignant, lyrical and incisive, Strange Love displays Lenzo's storytelling gifts at their finest. These stories will appeal to all readers of fiction. Lisa Lenzo's first story collection, Within the Lighted City, was chosen by Ann Beattie for the 1997 John Simmons Short Fiction Award and published by the University of Iowa Press. Lenzo's other awards include a Hemingway Days Festival Award, a PEN Syndicated Fiction Project Award, and first prize for 2013 from the Georgetown Review. Her stories and essays have appeared in the Mississippi Review, Sacred Ground: Stories About Home, Fresh Water: Women Writing on the Great Lakes, and on NPR.